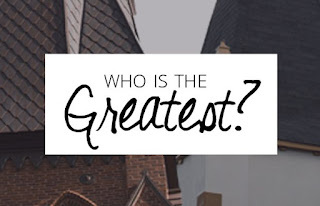 Mount Hebron Musings: Who is the Greatest? Fans of the boxer Muhammad Ali would be familiar with his catch-phrase "I am the greatest." And maybe he was the greatest boxer whoever entered the ring. He was certainly one of the most charismatic and memorable. In the world of popular music it seems there is an obsession with greatness. Some say Elvis Presley was the greatest singer to ever grace the stage, others say the Beatles were the greatest band to ever have a musical career, but others point to different megastars and other styles of music in defining their greatest hits. If we were to get into a debate about who the greatest actor or actress was, what the greatest movie ever made might be, what the greatest car ever manufactured could be, we would come up with a multitude of conflicting opinions. If we delved into politics, and asked “Who is the greatest president to have ever served the United States?” we can already hear rumbles of disagreement across the landscape! It all begs the question of what criteria we should even use to measure greatness. Is there a “Rule of Greatness”or “Scale of Success” upon which we can balance and quantify conflicting claims of supremacy? We often measure greatness in terms of personal achievement. The great ones are the ones who have become noticed and the ones whose names we all remember. Even in our own lives we can fall prey to seeing our own greatest moments as those when we were the center of attention or the most noticed. 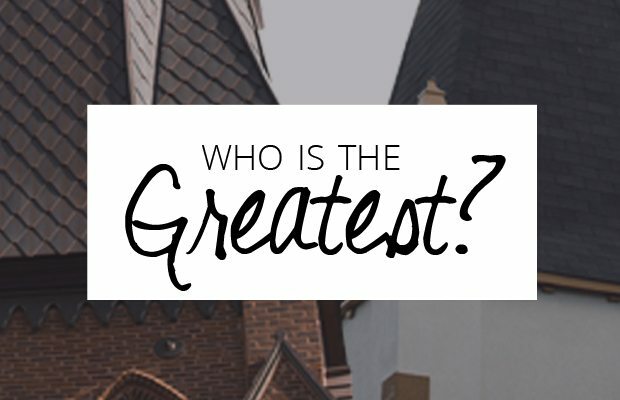 Jesus seemed to suggest that greatness was none of the above! Last week here at Mount Hebron we were thinking about Jesus as being the Messiah, the “Great one of God.” Our sermon can be found here. This week we are musing about greatness and looking at Mark 9:30-37. In this passage the disciples are arguing about “Who is the greatest?” Jesus overhears them. He then redefines the notion of greatness by placing a child before them, and telling us "Whoever welcomes one of these little children in my name welcomes me; and whoever welcomes me does not welcome me but the one who sent me." Such an action can direct our thoughts in new directions. 1. Think of the people you most admire. What are the qualities that inspire you about their lives? How do those qualities match up with the qualities of greatness that Jesus spoke of? 2. We are called to have a childlike (but not a childish) faith in God. Where in our life are we living like a child of God? Where may we need to make some changes? 3. "Then Jesus sat down, called the Twelve, and said to them, "If anyone wishes to be first, he shall be the last of all and the servant of all." (Mark 9:35.) What might it mean to place our selves last of all? In what ways are we expressing our service to God both in our personal life and in the life of our community? For some music “How Great is our God” by Chris Tomlin.